There is no question that working out has so many benefits. When it comes to working out properly, there are many things you are going to need to know. For example, what you should be consuming, how to move as you do exercises, how many sets you should be doing, how much weight you should be lifting, and the list goes on. One thing that many do not consider is how often we should be working out. When we workout too much this is known as overtraining. We want so bad to drop those pounds, or build those muscles that we overwork ourselves. It is important to understand that this is not healthy! Just as not working out is bad for us, so is overtraining. Overtraining is bad for several reasons. First off, when you do too much cardio the levels of cortisol will greatly increase. Cortisol is a hormone that can create both stress and make you gain weight. Obviously, this gives you the complete opposite effect of what you are trying to accomplish. When you over train other hormones will not work properly as well. Both norepinephrine and epinephrine will increase in levels as well which will decrease your desire to eat. This is not good because you need to eat, even more so when you are training. Now, instead of optimal recovery, your recovery time will take even longer. You are not taking in enough calories, and you may even begin showing signs that you are over working and over training yourself. There are many symptoms that come along with overtraining and you may be experiencing them and not even know it. You may notice that injuries are occurring frequently and can’t explain why. This happens to be a symptom of over training along with soreness in your muscles that do not seem to want to go away. For women, your menstruation may be off. Both men and women may feel as though their heart is racing even when they are at rest. You can have depressed feelings, be even more susceptible to getting an infection, lose motivation, or have trouble sleeping. You also may experience loss in appetite as well as overall, feeling irritated. If you have been working hard at the gym and find yourself not taking proper rest, it is just a matter of time before you begin to experience these symptoms. When you over train there are many other negative things occurring. It will begin to suppress your immune system, making fighting off infections a big challenge. Your body gets “suppressed” by trying its best to constantly recover, that all the energy goes toward fixing the damage instead of where the energy should be going. As we previously mentioned, your heart rate will be quite fast even during rest. You body is in overdrive which is why this occurs. Even your bones can be negatively impacted as well. Just because you can’t see damage, doesn’t mean it isn’t there. Both your bones and muscles hurt when you over train. They receive damage that is microscopic and because you are not allowing enough time to heal, the damage stays that way and proceeds to worsen. Your body then weakens and what was a little damage are now major sprains or tears. If you think you may be overtraining your body, there are ways to resolve and reverse the issue. First off you can start by not working out so much. Next, eat a diet that is made up of high carbohydrates, proteins that are lean, and fats that are healthy. Your body has lacked these things from over working yourself so you will need to compensate for that loss. It is also recommended you take both hot and cold baths or showers, use a sauna, or get massages. These will help to get your blood properly circulating once again, which will also enhance your immune system to where it should be. Be sure that you also reduce the amount of weight you are training with as well as the number of repetitions. Be sure you are taking breaks, meaning only working out 4 -5 days a week, and relaxing in between. Now that you have a better idea of if you are overtraining, you can fix it, and prevent it in the future. The last thing you would like to do is literally work against yourself. 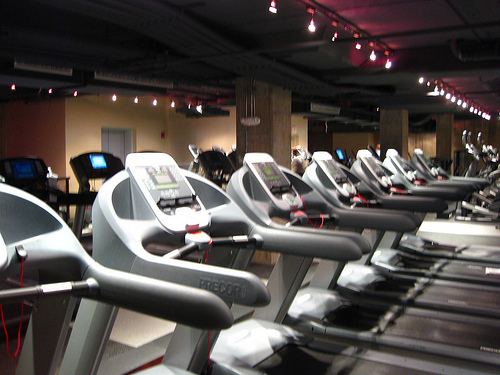 If you are trying to lose weight and you do too much cardio, you may gain weight. If you are trying to gain muscle and over train in doing so, you will cause far more harm than good. If you can shed some light on this topic we would love to hear about it! Whether you find that you over train, or know someone who does, please share your opinions and experience with us.